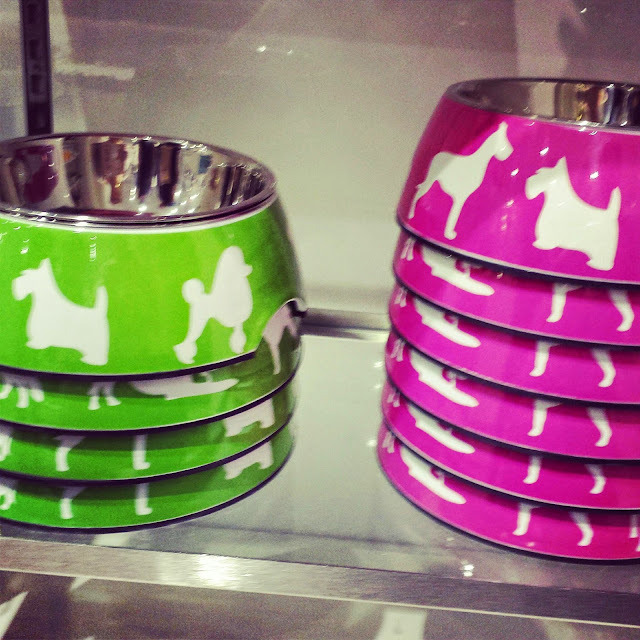 Scottie dog bowls (featured alongside other breeds) found at C. Wonder. Priced from $18-24. 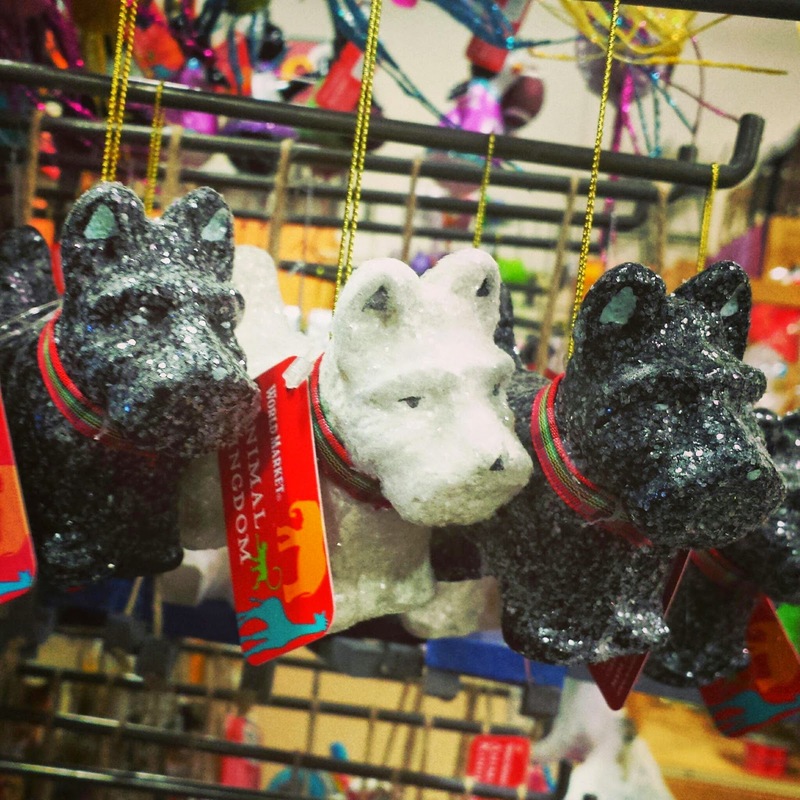 Scottie dog ornaments found at World Market. Priced at $10 each. See more Scottie items at World Market here. 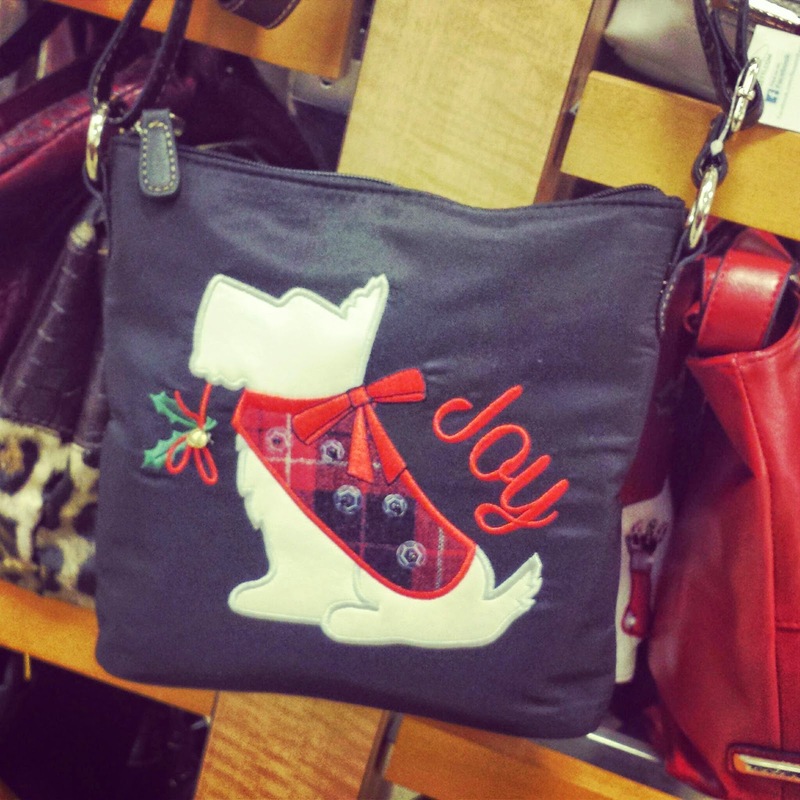 Scottie dog purse found at Macy's. Priced at $39. 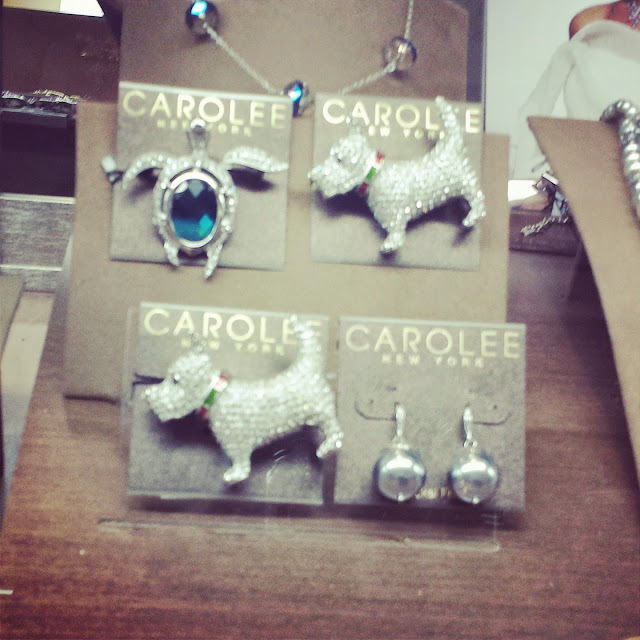 Scottie dog pin found at Macy's. 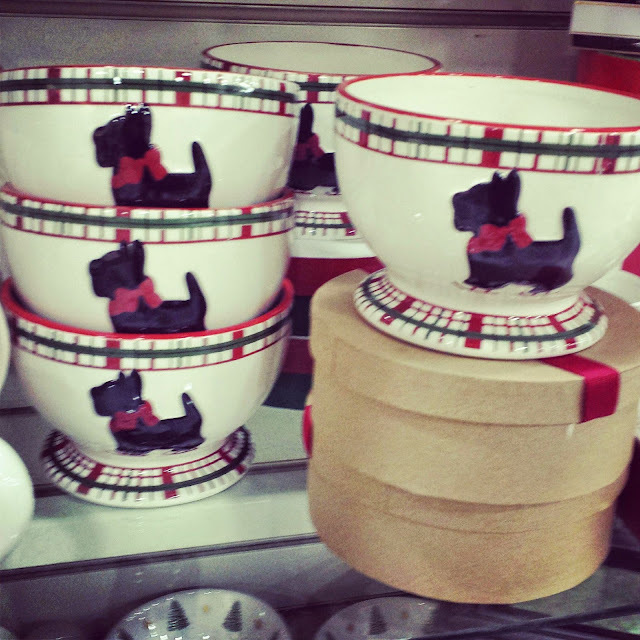 Scottie dog bowls found at HomeGoods. Priced at $4. Holiday Scottie greeting cards found at HomeGoods. Priced from $4-7 per box. Scottie dog candles found at HomeGoods. Priced at $7. 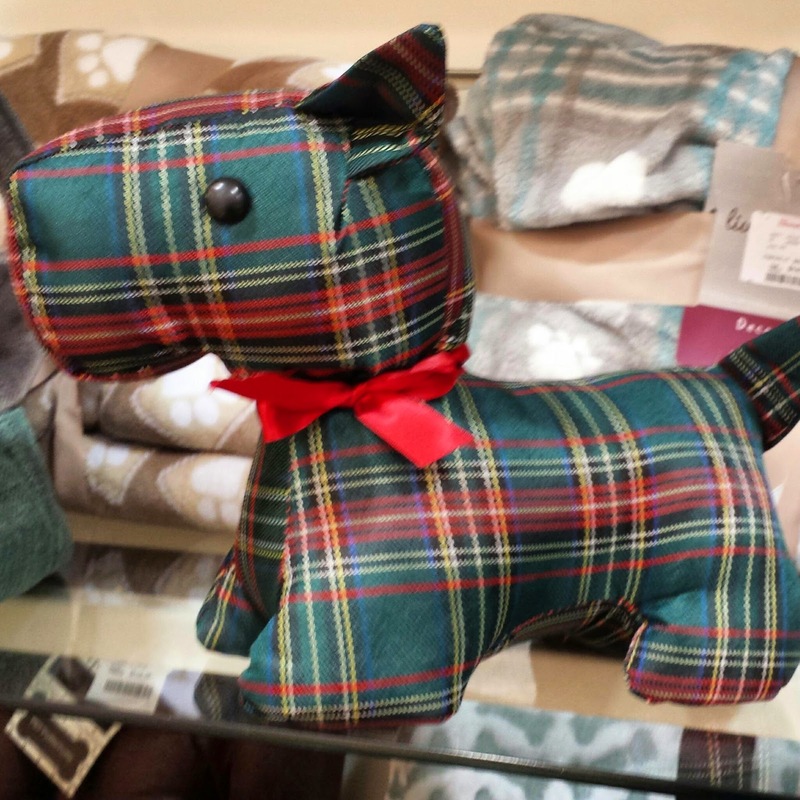 Scottie dog doorstop found at HomeGoods and TJ Maxx. Available in red plaid as well. 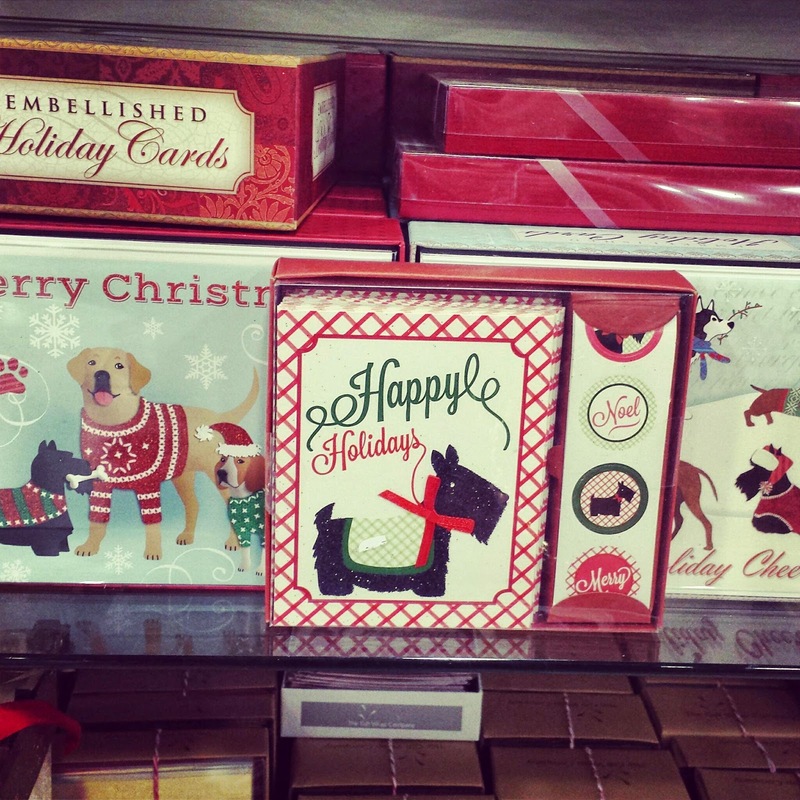 Found at HomeGoods and TJ Maxx. Priced at $10. 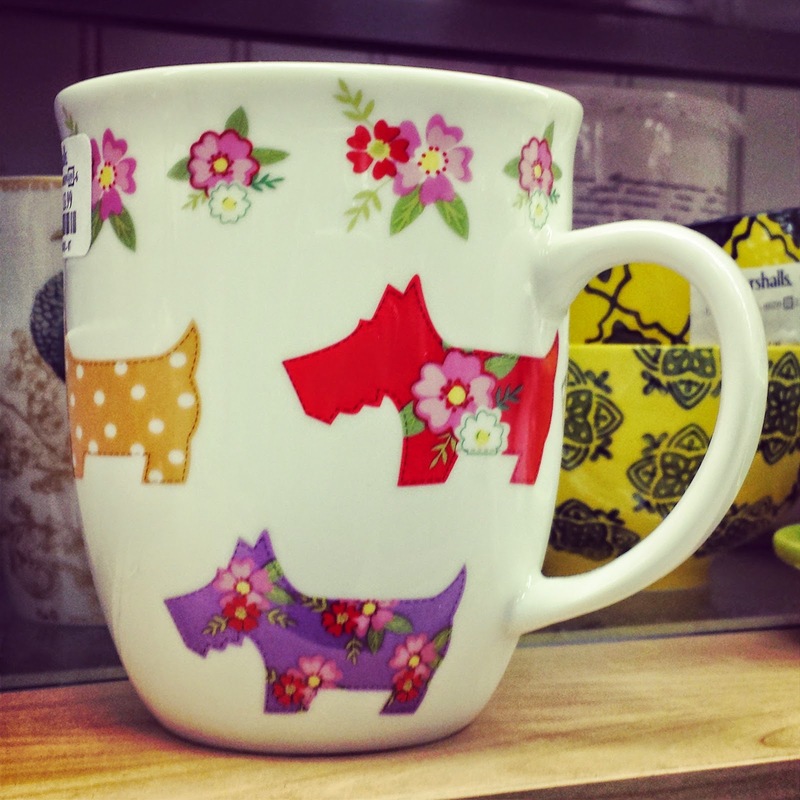 Colorful Scottie mug found at Marshalls. Priced at $4. 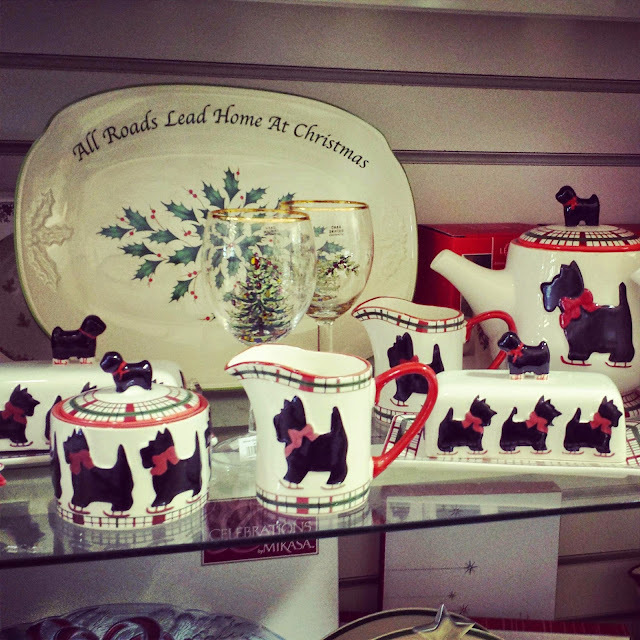 Assortment of Scottie dishes found at HomeGoods. Prices range from $3-8 per piece. 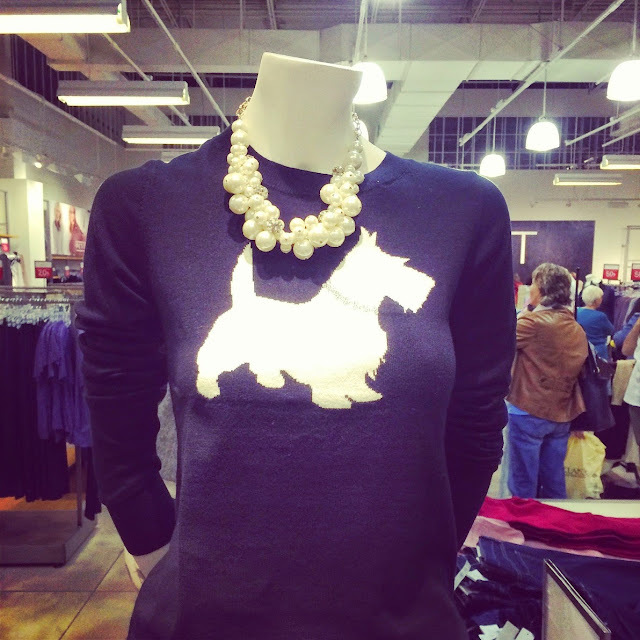 Scottie dog sweater on sale at LOFT outlet for $25. The season of Scotties is upon us! All through the year, we've waited and it looks like the 2014 season of Scotties will not disappoint. 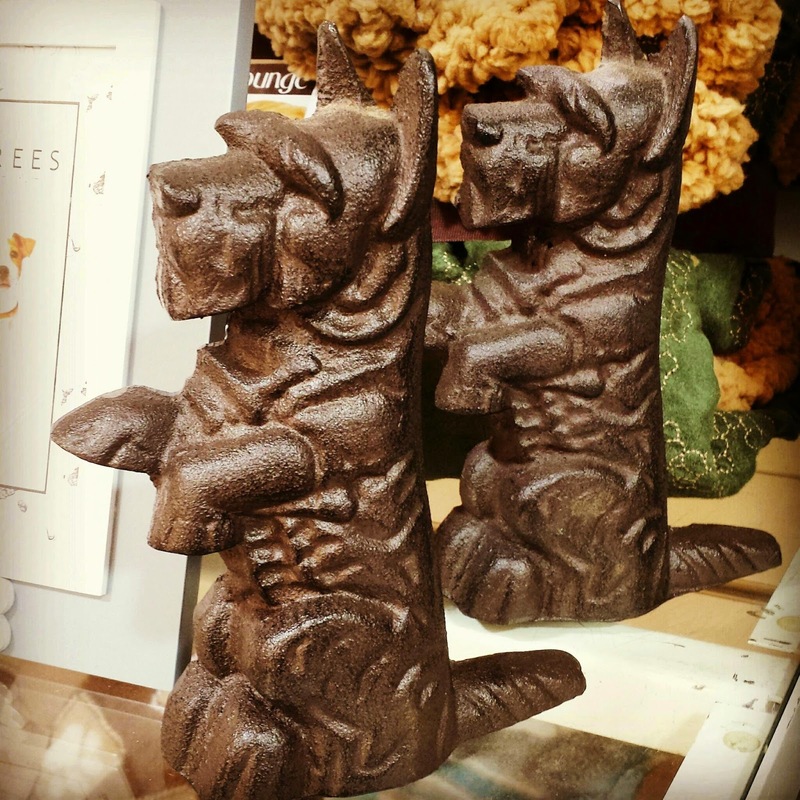 Here are all the Scottie finds I stumbled across in stores just this week. 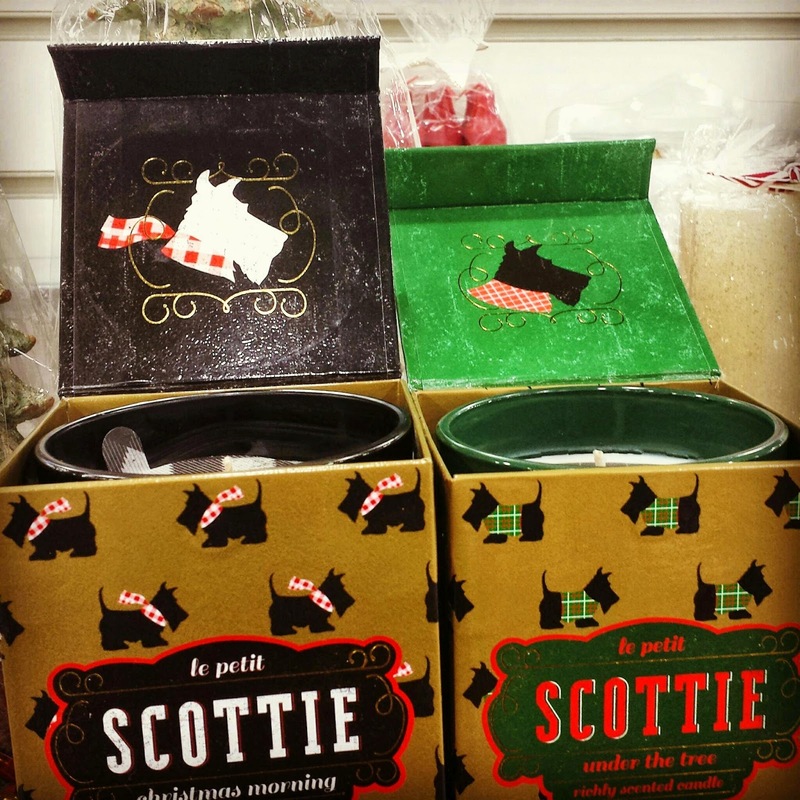 Know of something you think should be added to every Scottie Mom's holiday wish list? 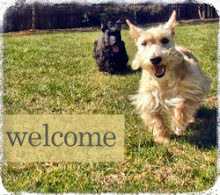 Send your Scottie finds to thescottiemom(at)gmail(dot).com. 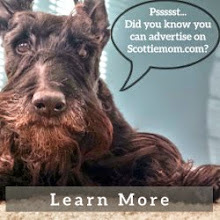 Happy shopping, fellow Scottie Moms! I don't know all of those stores but I know all of the dogs. Thanks for the tip...on my way to Homegoods tomorrow! Do you have any further info on the Macy's purse? I went to my Macy's but it wasn't there and they coudn't find it on the Macy's website, either. :/ Thanks for any leads you can provide! That's a lot of scottie stuff. We love it!